This time of year, it's all about beach-worthy jewelry. I've always got something on my bench in watery blues and greens. 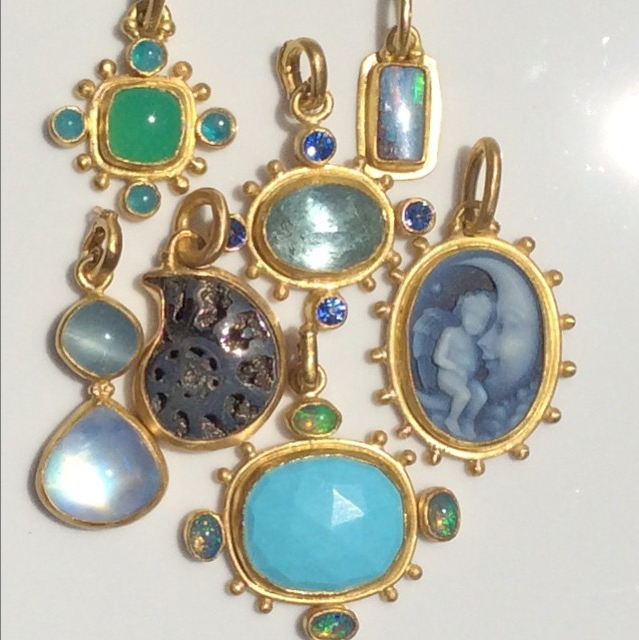 Here is a selection in opals, paraiba tourmaline, emerald, aqua, tanzanite, kyanite and more opals. All of these stones really speak well for themselves. I am in awe of the materials.